Covered by Medicare and Medicaid. All Residential Hospice services are fully covered by Medicare and Medicaid, as well as many private insurances, with no out-of-pocket costs for eligible beneficiaries. In addition, both Medicare and Medicaid cover medication, medical supplies, and medical equipment related to the hospice diagnosis. 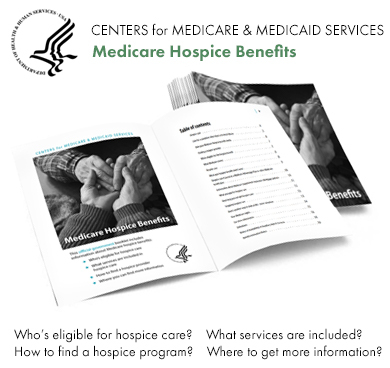 * Managed Medicaid programs and HMOs may employ co-pays and deductibles for hospice care. Contact your insurance provider for specific details regarding your coverage. Residential Hospice is happy to work with you to understand your unique situation and options for care and coverage. Call (866)902-5854 with any questions about Medicare, Medicaid, or other insurance coverage options. *Please note that other conditions not related to the specific hospice diagnosis may be covered differently. For example, a patient on hospice for advanced Alzheimer’s disease will have hospice and Alzheimer’s-related services covered, but may pay a copay or other out-of-pocket cost for heart medication, or other treatments related to a condition that is not the hospice diagnosis. Honor your loved one by supporting families in need of compassionate care.